As a charity focused on addressing prostate cancer, we are excited to share an invite to a very special night that we’re planning for later this month. We will convene a panel of experts to hold a detailed and enlightened conversation about pitch counts, best practices for pitching and throwing, the importance of extended recovery periods for young athletes, and the truths and myths of Tommy John surgery. This exciting event will feature Tommy John himself and will be moderated by our Founder and CEO, Ed Randall. Our Town Hall on the Tommy John Surgery is scheduled for Tuesday, June 28, 2016 at 7:00 pm at the SVA Theatre in New York City. 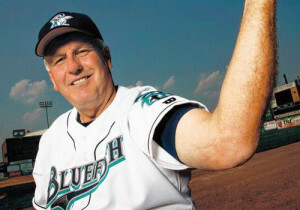 Tommy John, who won 164 games after undergoing the UCL surgery named after him in 1974. Tickets for this exclusive, one-time-only event are going fast! At Fans for the Cure, our mission is to save lives and preserve the quality of men’s lives by promoting awareness, testing and treatment of prostate cancer. To support our work in this important field, we regularly organize special events to raise money for a variety of educational and medical programs. We are pleased to confirm that thanks to the generosity of our guests, our volunteers, and the SVA Theatre, all proceeds from this event will support Fans for the Cure. Of course, as a 501(c)(3) charity, we readily accept donations via our website.